What dose tv stand for? Nothing, it does not have legs. 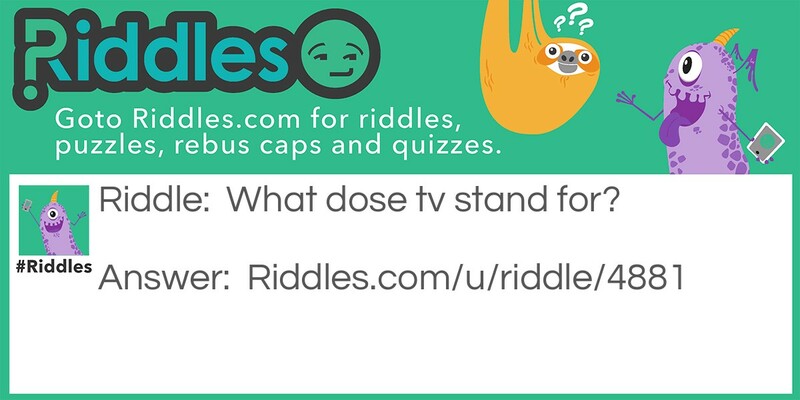 tv riddle Riddle Meme with riddle and answer page link.